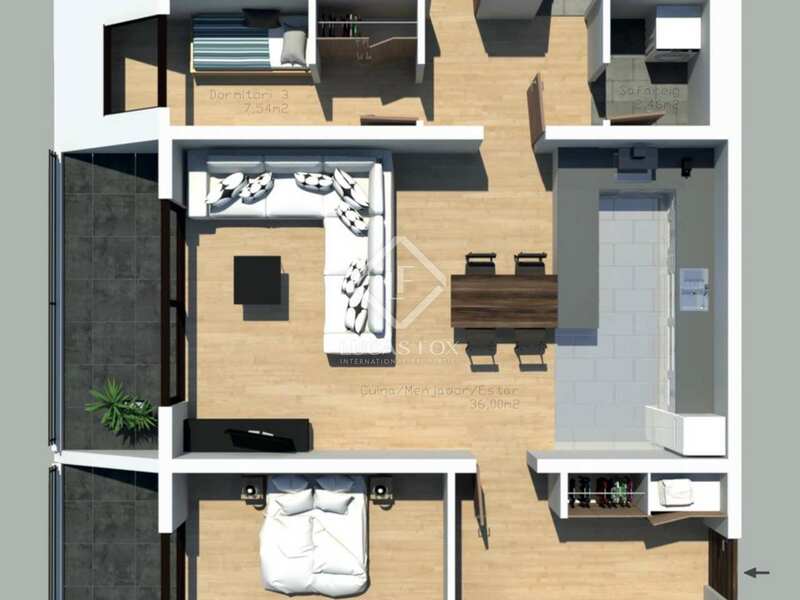 This welcoming 3-bedroom apartment measures 143 m² and has an excellent layout with no space wasted. The living room – dining room and kitchen are all in a single open plan space of 35.5 m² with access to a terrace with panoramic views of the valley of Andorra la Vella. The master bedroom measures 20.45 m² and has its own bathroom with a shower and the second double bedroom has a 4-piece wardrobe and a bathroom that is shared with the third, single bedroom. Furthermore, this property has a laundry area and 2 parking spaces included in the price. 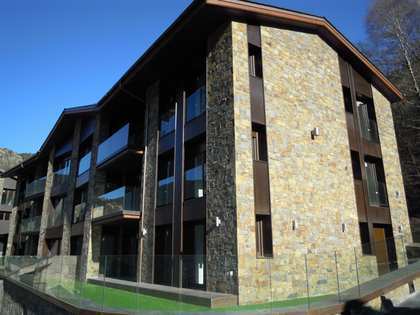 Spectacular high-end apartments located in a residential area of Engordany Escaldes, in the Can Noguer neighbourhood. It is Just 2 minutes from the town centre where you can find all local amenities such as restaurants, shops, supermarkets and the Caldea leisure centre.